It’s About the Talent, Stupid! When will companies finally get it? Winning is first and foremost about the talent. Most problems in startups, large public corporations and SMBs alike are talent related. Companies once called them personnel (almost human), then shifted to resources (less human). In the latest twist, talent has been “elevated” to the same cupboard as cash – human capital. What’s next, human cattle? Not so in professional (or even amateur) sports. Skilled athletes are highly prized, recruited and compensated. Think leader boards, the draft, minor leagues, the combine, agents, managers, scouts and even fantasy leagues. Professional teams are obsessed with scouting, acquiring and developing talent. Pay scales have skyrocketed. As top talent (coaches as well as players) moves from place to place – and along with it, the ability to win championships – teams are continuously reconfigured. But a talent emphasis always prevails. Entertainment and media get it, too. Think guilds, talent agents, casting directors, managers, studios and packaging. The writers, directors and stars represent most of the industry’s value. They bring what audiences pay for. In the digital age, giants ranging from Apple to Zappos across many industries have created incredible corporate value by adopting the tools and methodologies of constant innovation and agility. Companies have revolutionized the process of customer acquisition, for example, through myriad digital and social media technologies. It’s talent, however, that is the next great pillar of business value. Many of America’s top VCs – Greylock Partners, a16z, Khosla Ventures and others – have created their own “talent manifestos.” They now demand that their portfolio companies spend as much as half of their time recruiting and be constantly on the talent acquisition offensive. A few of the world’s most valuable brands do get it. They work with the top headhunters and have built their own retained search firms inside the company. Biggies such as Nike, General Electric, Coca-Cola, Pfizer and Microsoft increasingly use their own executives to recruit talent. A former headhunting colleague of mine built Red Bull’s internal executive search firm with a team of 50+ and is now doing the same at Disney. Google tracks nearly every PhD in relevant sciences and engineering disciplines from graduation through their entire careers. Kaiser tracks every med school graduate in North America from the moment they leave school and monitors each career move, attempting to recruit them at every opportunity. This is how the “One Percenters” win the war for talent. But for every company that gets it, hundreds of others don’t. Pro sports has franchise players and highly coveted first round draft choices. Music and film have rock and movie stars who deliver box office. These “above the line” skill players are discovered, signed, treated and paid very differently than the rank and file. To win the war for talent, companies must think about their own critical, skilled positions differently from the base of “common” hires. Globally dispersed, highly capable, low-cost “common talent” is highly accessible. Labor has no borders. Meanwhile, however, demand for specialized skills is off the charts. Be warned: The problem is not cyclical and is becoming progressively worse. What’s more, critical hires are not limited to C-suite positions. Talent stars exist across a broad swath of categories, including software architects, blockchain or Python coders, skilled account managers or customer service supervisors, creative UX/UI designers, innovative growth hackers, community managers and others. But finding, engaging and recruiting them is increasingly challenging as demand for their skills and talent grows, and compensation moves higher. Hiring “franchise players” is both the number one imperative, and challenge, for businesses today. The long “jobless recovery” of recent years that once created a buyer’s market for critical hires is toast. Recruiting key talent today requires new weapons and a new methodology. Elevate talent acquisition to a higher level of strategic importance; closer to, say, product development or customer acquisition/retention. Develop and constantly evolve your “employer brand.” You probably spend countless hours on pitch decks, messaging, website and a brand bible. An employer brand is equally important. It answers the question of why anyone would want to work at your company. Demand visibility into the talent acquisition funnel used by every department for every critical hire. 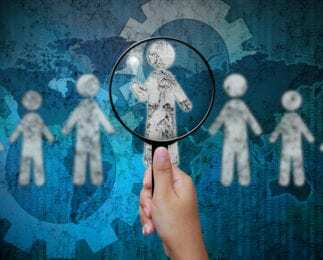 Consider making talent acquisition a core competency – perhaps by creating an in-house recruiting firm that augments internal resources alongside the expertise, networks and professional services of search firms and recruiting agencies. As the business world trends toward a dramatically worsening shortage of the skills most needed in a technological/digital world, finding, developing and keeping talent is the next frontier. Companies can ill afford to be solely fixated on metrics such as revenue, profit, market share, margins and other such performance ratios. It won’t be easy. Talent was long considered an intangible. But talent is not an intangible. And smart business leaders know that future success will be tied directly to the new pillar of value: Talent.